إذا كنت تبحث عن عقار بموقع جيد في المدينة، فقد وجدت ضالتك في Reflection On The Sea Apartments. يمكن من هنا للضيوف الاستمتاع بسهولة الوصول إلى كل ما تقدمه هذه المدينة النابضة بالحياة. يوفر العقار بفضل موقعة الجيد وصولاً سهلاً إلى أهم معالم المدينة.
. يعمل Reflection On The Sea Apartments على ضمان إقامة مريحة لضيوفه من خلال خدماته الممتازة وحسن ضيافته. هذه بعض الخدمات الموجودة في هذا الفندق: واي فاي مجاني في جميع الغرف, مرافق مخصصة لذوي الاحتياجات الخاصة, تسجيل وصول/خروج سريع, تخزين الأمتعة, واي فاي في المناطق العامة. استمتع بوسائل الراحة الراقية في الغرف أثناء إقامتك هنا. بعض الغرف تتضمن تلفزيون بشاشة مسطحة, اتصال لاسلكي بشبكة الإنترنت (مجاني), غرف لغير المدخنين, مكيف هواء, تدفئة لمساعدتك على استعادة طاقتك بعد يوم طويل. صممت خدمات الاستجمام في الفندق والتي تتضمن حوض استحمام ساخن, مركز للياقة البدنية, ساونا, مسار جولف - ضمن 3 كم, حمام سباحة خارجي لمساعدتك على الاسترخاء والراحة. إن كنت تتطلع إلى إقامة مريحة وهادئة في المدينة، فستجد في Reflection On The Sea Apartments بيتك الثاني. يعمل مكتب الاستقبال من الساعة 08:30 صباحًا حتى الساعة 5:30 مساءً خلال أيام الأسبوع العادية، ومن الساعة 08:30 صباحًا إلى الساعة 03:00 عصرًا يوم السبت، ومن الساعة 09:00 صباحًا إلى 02:00 ظهرًا في أيام الأحد والعطلات الرسمية. Loved everything about our stay. 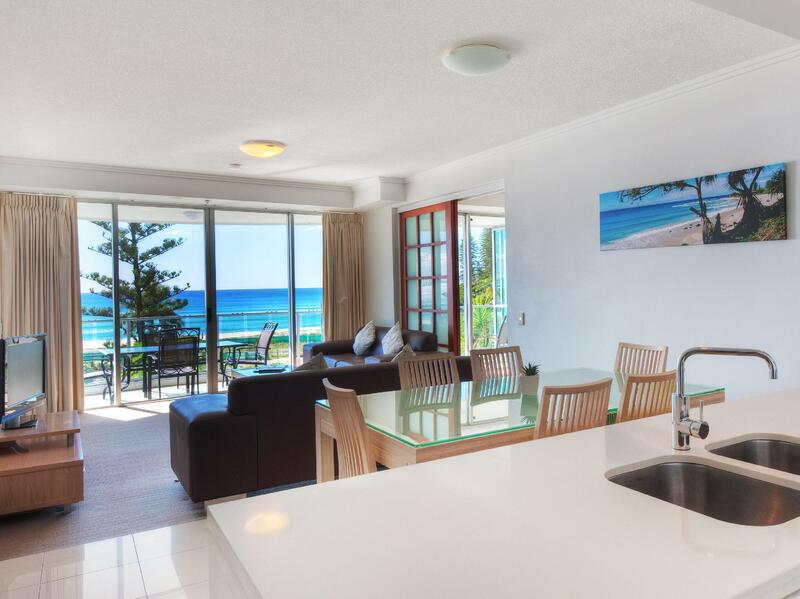 We were in a two bedroom apartment which was super clean and comfortable and had outstanding ocean views. Can’t beat sitting on the balcony watching the whales breach in the mornings! The apartment is near the beach. You can enjoy the beautiful sea view and watch the sun rises and sets from the balcony every day. Food restaurants and supermarkets are nearby. 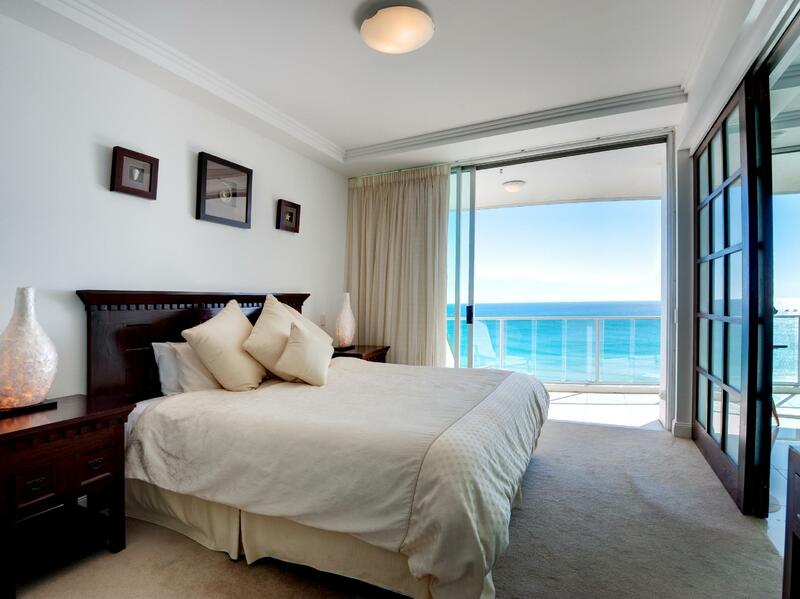 We have stayed at Reflections for the last 5-6 years in a 2 bedroom ocean view room. Room 1003 needs to update the lounge 1980s white leather worn furniture and replace the cigarette burned leather swivel chairs and the off cuts of carpet which the chairs were placed on and CLEAN the outdoor furniture. 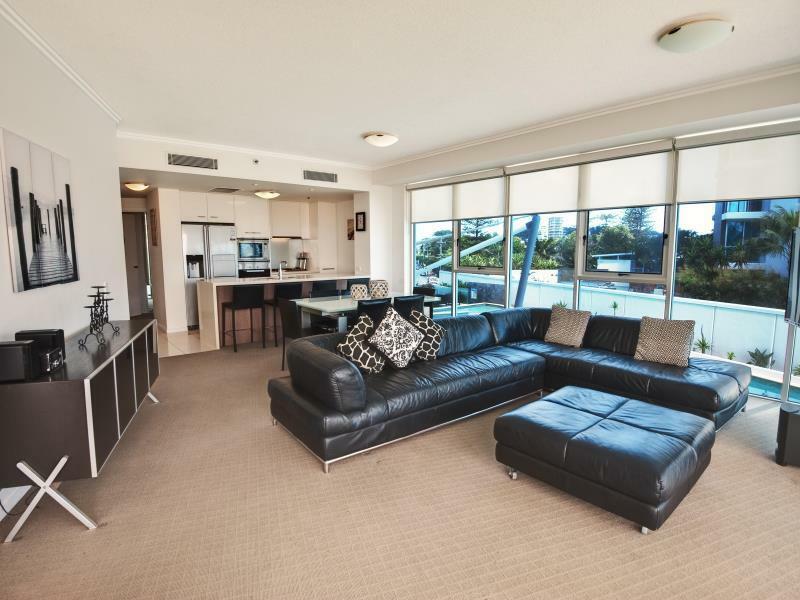 Situated right in the heart of Coolangatta this place offered us a relaxing stay in luxury with everything we needed close by. Absolutely wonderful. We travelled to the Gold Coast for our wedding, and Reflection on the Sea was our first choice of accomodation. 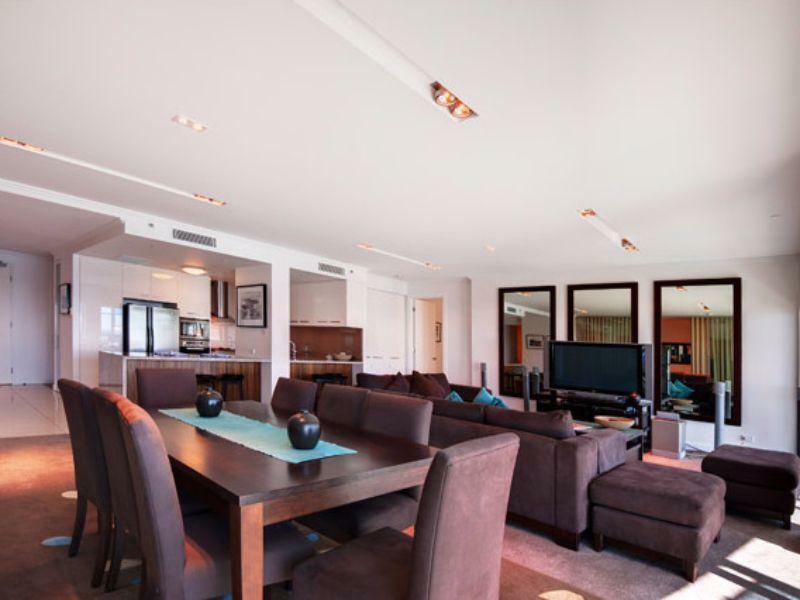 Outstanding location; beautiful, high quality facilities in the unit; secure parking. Will most certainly stay here again! We had a most enjoyable time. 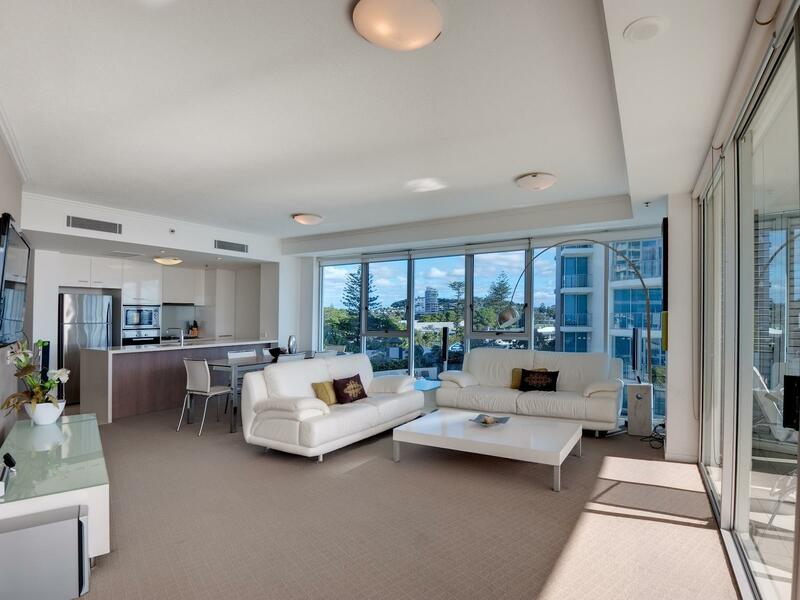 The apartment was clean, spacious and beautifully furnished. Perfect location as we did not have to use the car and restaurants etc were directly underneath. Will definitely stay there again and recommend it to family and friends. Great stay. Convenient and will definitely return. The staff were ready with our Sunday check-in. The 2-bedroom apartment was as expected, pristine and comfortable! There are various restaurants available downstairs to suit our palates for the 5-days we were at Reflections. With our rented car (in-house parking available with rented unit), we were able to explore the theme parks, wildlife parks, shopping malls and of course enjoyed the beautiful beach the Reflection faces... My children loved running on the beach path most mornings, closing the day also on the beach watching the surfers trying to catch the last surf before the sun goes to sleep. We had a wonderful stay at Reflections. The location was perfect and the views amazing. Perfect location in front of the sea/beach, Dining and shopping is at your doorstep and easy check in and check out process. Staff are very friendly and accommodating. Our stay at the Reflection On The Sea Apartments is very relaxing and we couldn't asked for a better place to stay. Nothing much to talk about. Stayed at a 2 rooms apartment. No house keeping at all. No safe box. Luckily stay only for 3 nights. Not value for money. Will not choose to stay here again. view and view and 360 degree sea view. the apartment was fantastic and the view of the ocean is to die for. the only complain is that there is minimum service, no room service and you have to wash your own towal as such. other than that, it was a fantastic stay. A beautiful apartment with great amenities for cooking & laundry. Secured carpark. Great location. Comfortable rooms & beds. Very spacious & best views esp of sunset. Would definitely stay there again! Kids loved it! Clean,comfortable and quite surrounding . 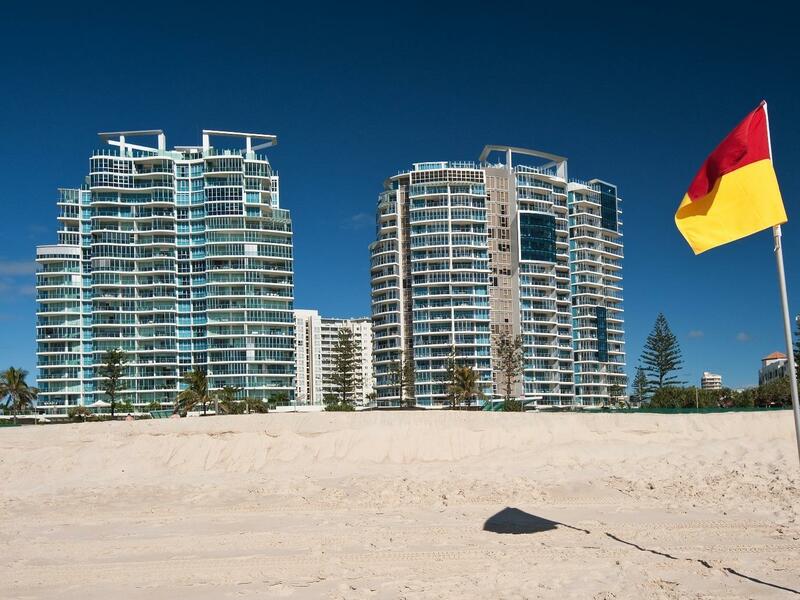 My family are very happy to stay there and we enjoy our holiday in Gold Coast.